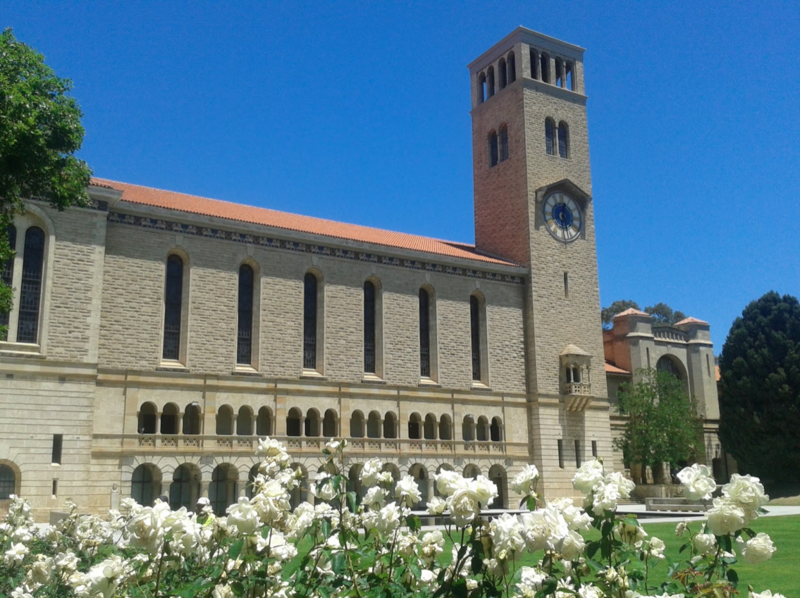 This year marks the 90th anniversary of Italian studies at the University of Western Australia (UWA). In the 1920s, three universities – the University of Melbourne, the University of Sydney and UWA – began teaching Italian almost simultaneously. But it was Perth which had the first professor of Italian: Francesco Vanzetti. Born in Padua in 1878, Vanzetti was orphaned and moved to Western Australia with an uncle. It was 1896 and the state was gripped with gold fever. A man of many talents, Vanzetti began working in the gold mines of Kalgoorlie. He then settled in Perth, where he found work as a public servant. Vanzetti also dabbled in fencing and graphic arts and he even worked as a farmer for a while with his wife and two children. He began teaching at UWA in 1929, and remained at the university until he was 85 years old. Twenty years before his retirement, Vanzetti had refused to leave the university until it established a proper department of Italian studies. He got his wish in 1963. In Perth – along with Melbourne and Sydney – Italian studies were founded on the initiative of extraordinary individuals, who were very different from one another. Vanzetti was the protagonist in Perth, while in Melbourne, it was an anarchist by the name of Omero Schiassi, who was considered the father of anti-fascism in Australia. Meanwhile in Sydney, it was a monarchist merchant named Antonio Baccarni, who also founded the Italian Chamber of Commerce and Industry in Australia. The introduction of Italian studies was immediately met with great interest from educated members of bourgeois society, who had already become fascinated by Italian culture. This alone proved that Italians had already made their mark in Australia before the mass immigration which followed World War II. To celebrate the massive milestone of 90 years, UWA is running a series of free public lectures across 2019. Professor John Kinder will present the first lecture, entitled ‘Italians in 19th century Western Australia, and, how a Venetian industrial chemist came from Kalgoorlie to teach Italian at The University of Western Australia’, on March 20. “It’s not to remember the wonderful past, but to offer the public a snapshot of Italian studies today,” Prof Kinder said of the initiative. His lecture will take place from 6:00 pm to 7:00 pm at the Fox Lecture Theatre, UWA Arts Building. The following lectures will be presented by experts in music (April 17), art (May 14), and history (June 18). It’s safe to say there will be something for everyone. For more information or to book seats, visit UWA’s website. This story appeared in the Thursday March 7, 2019 edition of In classe. Margherita Angelucci is Deputy Editor of Il Globo and La Fiamma.